These three forums continued the discussion begun at the Minns conference held in Boston on April 8–9, 2011, "Composing Our Unitarian Universaliist Future." Each session was led by the Rev. John Buehrens, who served as president of the Unitarian Universalist Association from 1993 to 2001. The Rev. Buehrens is the author of author of Understanding the Bible: An Introduction for Skeptics, Seekers, and Religious Liberals, and of Universalists and Unitarians in America: A People's History; and co-author (with Forrest Church) of A Chosen Faith: An Introduction to Unitarian Universalism and (with Rebecca Parker) A House for Hope: The Promise of Progressive Religion inn the 21st Century. 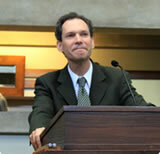 He is minister of First Parish in Needham, Massachusetts, and adjunct faculty at Harvard Divinity School. The Rev. 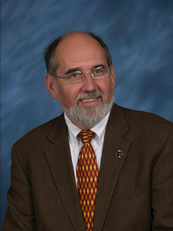 Dr. Stephen H. Furrer is a sixth generation Unitarian Universalist who grew up one of four children all attending the First Unitarian Church of Clevelend, Ohio. Ordained by the Los Gatos Unitarian Fellowship in 1979, Steve has served congregations from coast to coast including lengthy ministries in Pittsburgh and Santa Fe and, more recently, successive interim ministries in Santa Monica, Long Beach, and currently San Francisco, California. The Rev. 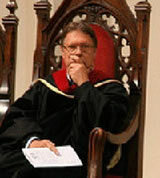 Dr. William G. Sinkford has been senior minister at First Unitarian Church of Portland (Oregon) since 2010. He is the principal spiritual leader of the church as well as having overall management responsibility for its operation. Bill, as he prefers to be called, is probably best known for his service as president of the Unitarian Universalist Association (2001–2009). His tenure was marked by strong public witness for social justice and support for marginalized communities, commitments he continues in Portland. Bill answered the call to ministry in 1992 after having run a business in the housing field and serving as a lay leader in his home church in Cincinnati. The Rev. Meg A. Riley took up her position as senior minister of the Church of the Larger Fellowship congregation in August 2010. Meg served the Unitarian Universalist Association from 1989 to 2010, most recently as director of advocacy and witness, and was the inspiration behind the UUA's "Standing on the Side of Love" campaign. Meg holds a bachelor of arts degree in English literature from Reed College and a master of arts degree from United Theological Seminary. 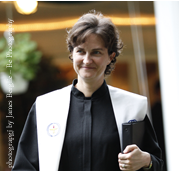 She was ordained to the Unitarian Universalist ministry in 1992. The Rev. 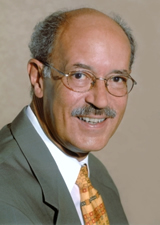 Alan C. Taylor has been minister at Unity Temple since 2003. He grew up a Unitarian Universalist in Bakersfield, California. He graduated from Pomona College with a major in religion, with emphases in both mythology and philosophy. Following college, he traveled solo for eight months in India, focusing on contemporary traditions that bring together Muslims and Hindus. He attended Starr King School for the Ministry and then served two years in Massachusetts, first as intern minister in Worcester at the historic First Unitarian Church and then as interim minister at First Church Unitarian in Littleton, MA. He then accepted a call to the Woodinville Unitarian Universalist Church in the Seattle metropolitan area, where he shepherded a young congregation through the fundraising and building of their own worship home. The Rev. 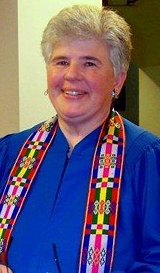 Dr. Susan Ritchie has served as the minister of the North Unitarian Universalist Congregation in Lewis Center, Ohio, since September 1996. She is also visiting professor of Unitarian Universalist history and ministry at the Starr King School for the Ministry and serves on the UUA board as the trustee from the Ohio Meadville District. 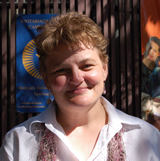 Ritchie is published widely on the topic of Unitarian Universalist history and identity, and also religious cultural studies, with her work being translated into Turkish and Hungarian. Her book on the Unitarian history in relationship to Judaism and Islam will soon be released in book form. Ritchie is proud to have grown up as a third-generation Unitarian. She lives in Columbus, Ohio, with her partner Donna and English springer Valentino, where she enjoys madly competitive amateur tennis and foolishly ambitious cooking. The Rev. 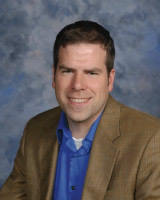 Dr. Matthew Johnson-Doyle was called as the senior minister of the Unitarian Universalist Church in Rockford, Illinois, in 2008. Before coming to Rockford, he served for five years at High Plains Church, UU, in Colorado Springs, CO. He gradutated from Meadville Lombard Theological School in Chicago in 2003, and from Whitman College in Walla Walla, Washington, in 1999. 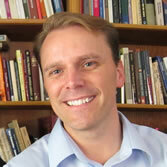 He completed his doctor of ministry from Iliff School of Theology in Denver in 2010. Matthew is focused on the good news of Unitarian Universalism. "This is a religion," he says, "which can save lives and the world. People seek a spiritual path that integrates their whole selves, that inspires awe, that celebrates beauty, and grounds justice. We can offer a vision of the good life, and the tools to make it real."